If you’re going to install replacement windows, it pays to measure windows correctly the first time and avoid the headache of placing an incorrect order. Always measure the entire window, not just the glass! This includes the frame and trim as well as the window glass. Record your measurements to the nearest 1/16 inch. Measure windows width from left edge to the right edge. Measure windows height from top edge to the bottom edge. Take an additional set of measurements inside the window frame. Since a window can have several steps within the frame, measure left to right at the widest place. Measure the width at the top, middle and the bottom, and use the smallest of the three measurements as the inside width. Measure the window length at the left side, the center and the right side inside the window frame and record the smallest of these as the inside length measurement. Record the window outside measurements from the far left edge of the window frame to the far right edge. Measure the outside length measurement as from the top of the window frame to the bottom of the frame. 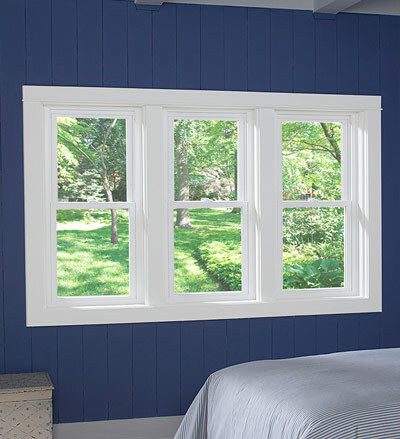 Measure the width of the trim that surrounds the window. The trim on the sides may be different from the top and bottom – so measure each part. Take a picture of a multi-paned window and record the measurements on the print to eliminate confusion. Record the overall window width and length, both inside and outside the frame. Measure and record the width and length of each window section and the measurements of any subsections. For example, the overall the window may be 60 x 20, composed of two windows 30 x 20.